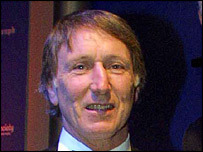 JPR Williams is a Welsh former rugby union full-back who was an iconic figure within the legendary 1970’s Wales team. Williams was first capped by Wales in 1969 and went on to earn 55 caps for Wales and eight for the British Lions. He played club rugby for Bridgend, London Welsh and Natal. Williams was a key player for Wales during the seventies when they won Grand Slams in 1971, 1976, and 1978. He was also outstanding for the Lions, winning the 1971 series against New Zealand and the 1974 series against South Africa. In 1977 he was awarded the MBE for services to rugby. Williams retired from international rugby union in 1981. He continued playing club rugby for many years, playing throughout the 1980s and 1990s for Bridgend and Tondu in his fifties.